As most modelers know by now, there is a sad tale of wrong-right-wrong with the Academy suspensions for the M3 Lee Medium Tank, the M7 105mm HMC Priest, and the M3 Grant tank kits. The first and last had bogies over 2mm too high, giving an odd appearance to the kit, and the M7 had them the right height. 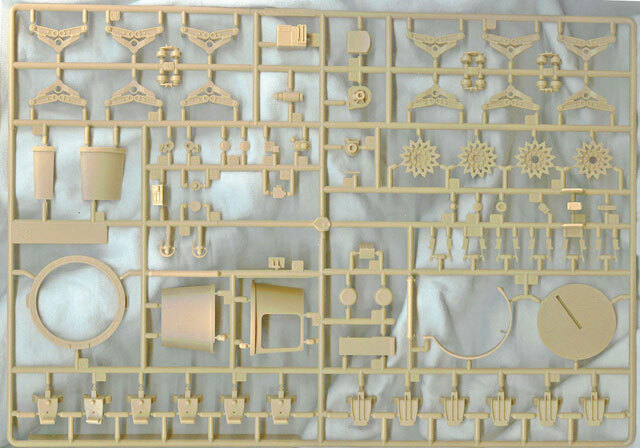 But unlike another large manufacturer - who was given the errors in their kit over 33 years ago and while still in production has yet to fix any errors in it – Academy has admitted a “mea culpa” and redone the suspension sprue for the M3 Lee and Grant kits. The new sprue is a verbatim copy of the earlier one with 76 parts, but the bogies are now reduced to the correct height and thus solve the biggest challenge in building a good model from those kits. This is a great idea and one I wish another major manufacturer would have done years ago. Thanks to Ed Sexton and Bob Lewen of MRC for the review sample.